The fireplace pictured below, is composed of natural limestone and can be custom designed for your living room, dining room or both. This particular two sided unit was placed between the living room and dining room. The hearth of the fireplace unit is open to the living and dining room for maximum heating of both rooms. 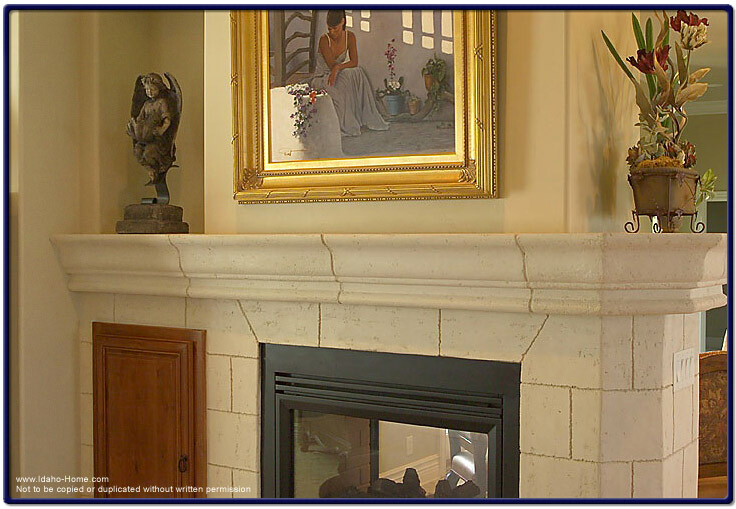 The fireplace and home was designed and built by One World Builders.